I have done three different passes of blurring in order to protect the details, and then typed a description of the fields I found over top of the blur (without using the actual values), and posted the image here. 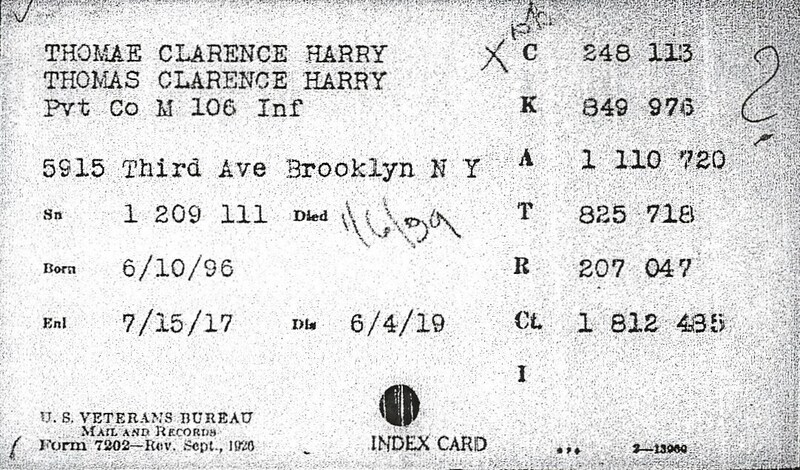 This index card appears to have come from NARA microfilm publication 76193916, which has been published as United States, Veterans Administration Master Index, 1917-1940 at FamilySearch. The catalog description page for the collection has a Learn More link which takes you to the corresponding article United States, Veterans Administration Master Index (FamilySearch Historical Records) in the FamilySearch Research Wiki. One of the five elements of the Genealogical Proof Standard is to write complete source citations for all the records we find. 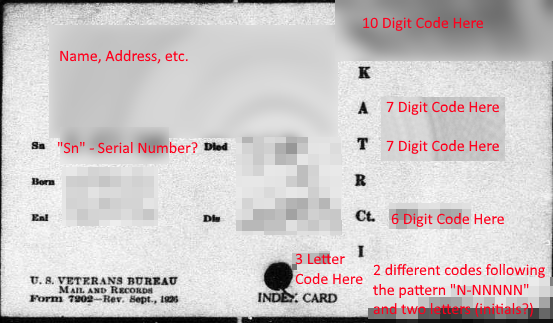 This helps us keep track of where we found them, but more importantly, it allows us to preserve the context -- who created the record and for what purpose, when and where the record was created, and how the record was created. All of these things help us interpret the information contained in the record. Not the answer you're looking for? Browse other questions tagged united-states military-records world-war-1 or ask your own question. How do I corroborate Charles Foster's military service (circa 1880)?